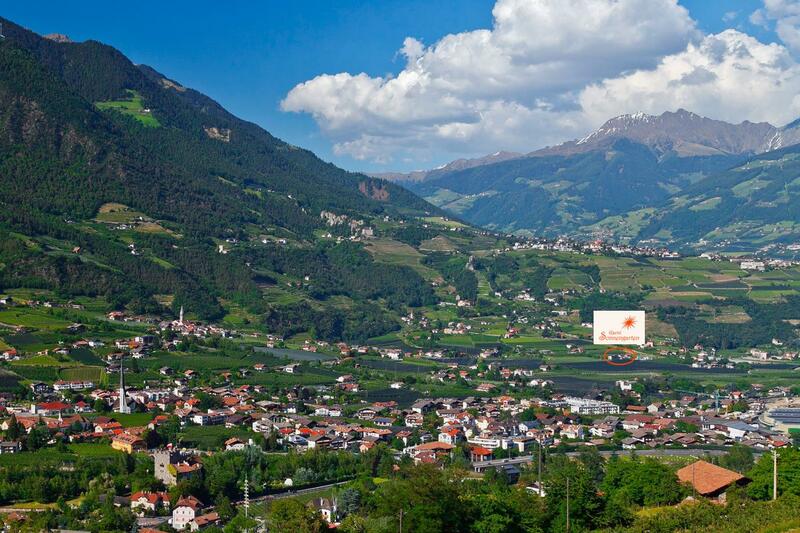 Gratsch is the green heart of Merano. Yet even in the midst of such peace and calmness, you are only 25 minutes away by foot from reaching the hustle and bustle of the town. You may also take the bus that drives you regularly every 20 minutes towards the city's centre. Strolling in the opposite direction for about 25 minutes will lead you to the neighboring village, Algund, that showcases its many culinary opportunities. On that note, the nearest pizzeria or restaurant can be reached after a passionate 15 minutes walk.